We are very excited, Erzulliestas! The registration just closed yesterday and we would like to thank all of you ladies that did register! We are very happy that you girls want to pre-celebrate the brand’s 3rd year anniversary with some fierce plus size fashion! 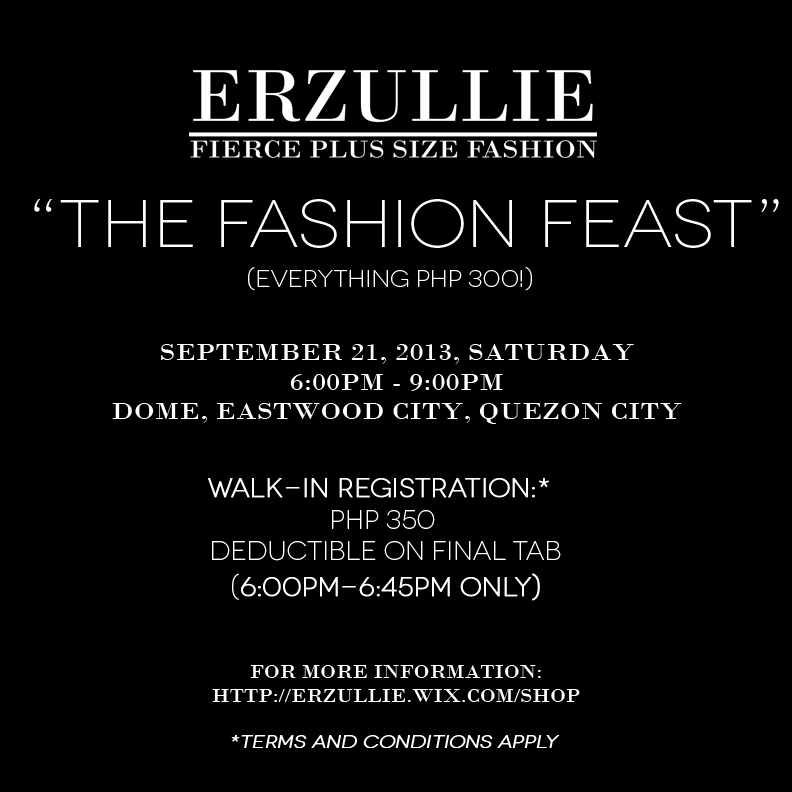 See you this Saturday, Erzulliestas! The Fashion Feast sale event is happening on September 21, 2013, Saturday (6-9pm) at DOME, Eastwood City, Quezon City. For those that want to register on the event itself, the registration fee is Php 350 (non-refundable and deductible on your final tab). Please be reminded that the time for walk-in registration is from 6:00pm-6:45pm only.